McGregor-Sharp Filtering Equipment (1979) Ltd. was founded by Al McGregor in 1964. The business started off in the basement of McGregor's home where he took orders and stocked the company's inventory. In 1968, Al McGregor pioneered one of the first ever filter-washing programs in the industry; called RENU, which continues to be a popular service today. Eventually, the business came up from the basement and in 1970; Don Sharp was introduced to Al McGregor, which signaled the beginning of what is known today as McGregor - Sharp Filtering Equipment. The company has been located in various locations throughout its history, including Nisku and a Calgary operation, which began in 1989. The first Edmonton shop was established in 1974 near Argyll Road and remained the center of operations until May of 1998 when the company moved into the present address of 9210 - 39 Avenue. Today, McGregor-Sharp Filtering Equipment continues to be the best provider of filters for all types of heavy industry applications. Some of the company's major product lines include Fleetguard, Wix, Eaton and Glasfloss, just to name a few. 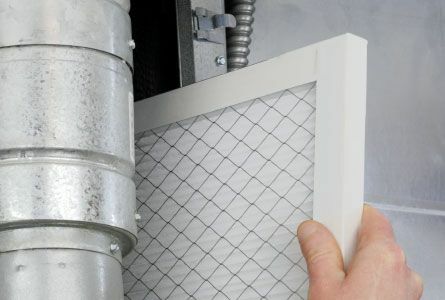 Also remember that McGregor Sharp Filtering Equipment provides expert ultrasonic cleaning for all types of metal mesh filters. McGregor Sharp has provided industry with quality products and superior service for over fifty years and continues to do so today. We have the products to fill your needs and the people to supply them. For any of your filter needs, please feel free to call us.